No other model has represented the concept of the Ultimate Driving Machine better than the iconic BMW 3 Series Sedan. With sales of over 15 million units worldwide over the past 40 years, the 3 Series embodies the heart and passion of the BMW brand. 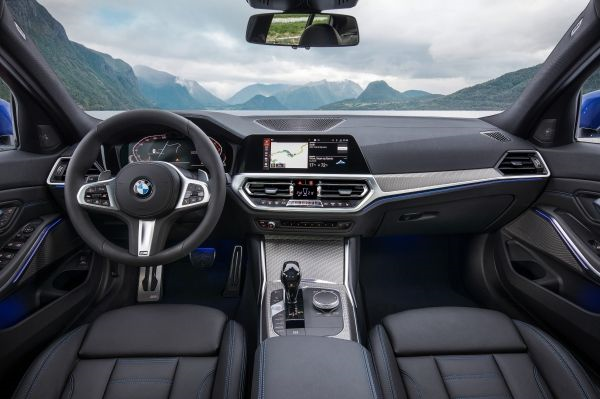 The introduction of the seventh generation of the 3 Series marks the continuation of inspired driving dynamics, premium refinement, and groundbreaking innovations which have set the benchmark for the modern sports sedan. Synonymous with sportiness, versatility, and efficiency -- the all-new exterior styling of the 3 Series reflects its core strengths. Legendary BMW driving dynamics have been enhanced with an emphasis on lightweight materials along with the introduction of an advanced Limited Slip Differential. An updated 2.0-liter 4-cylinder and a revised straight-six each provide inspired performance. Interior ergonomics, connectivity, and refinement have been improved as well. Returning to its heritage as the ultimate sports sedan, the all-new 3 Series continues to push the limits of what's possible. A completely new design language found on the all-new BMW 3 Series creates a modern interpretation of the sporting aesthetic. 2.9 inches longer, 0.6 inches wider, and 0.5 inches taller than its predecessor -- the 2019 3 Series represents an evolution of this iconic sedan. Increased track widths of +1.7 inches up front and +0.8 inches at the rear improve both agility and poise on the road. Signature BMW kidney grill elements are framed by standard full-LED headlights. Sharp character lines strengthen the visual impact made by the forward-surging body. Drivers will have their choice of two non-metallic colors and ten metallic shades including the new Portimao Blue metallic and Vermont Bronze metallic. Meticulous attention to detail and premium craftsmanship combine to produce the reimagined interior of the BMW 3 Series. A driver-focused cockpit and increased spaciousness allow you to focus solely on the road ahead. Electroplated trim strips and contours extending into the doors add a feeling of width and elegance. A revised gear selector lever is paired with the iDrive Controller along with buttons for the Driving Experience Control switch unit. Other available amenities include Vernasca leather trim, Sensatec instrument panel and door trim, and fine wood interior trim strips in high-gloss Ash grey-brown. The standard glass roof now offers a much larger surface area which can now be appreciated by rear seat occupants. Precisely positioned LED fiber-optic light guides to create a dynamic, exclusive mood with the available Ambient Lighting. With a drag coefficient as low as 0.26 and a body weight reduction of 121 pounds, the all-new BMW 3 Series is more agile and athletic than the previous generation. 330i models are powered by an improved 2.0-Liter Inline 4-Cylinder with 255 horsepower paired with an 8-speed Sport Steptronic transmission. The lineup will expand further to include a BMW M Performance version along with a BMW iPerformance model featuring the latest plug-in hybrid drive technology. Advanced xDrive all-wheel drive will be available as well. BMW M340i and M340i xDrive sedans will debut with a new version of the straight-six engine which cranks out 382 horsepower and peak torque of 369 lb-ft. These models also receive the Adaptive M suspension with electronically controlled dampers. 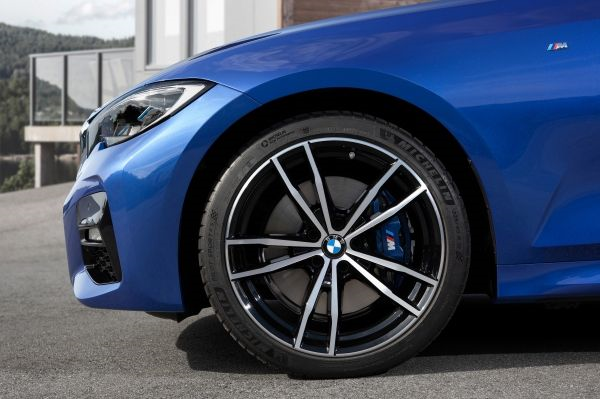 Available M Sport brakes provide excellent braking performance and intuitive feel, helping to slow the immense power of the all-new 3 Series. 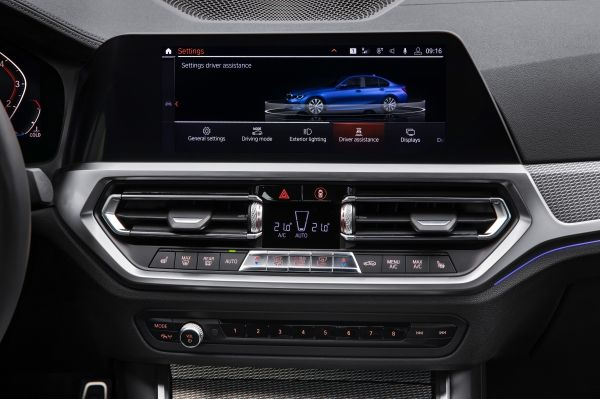 More technologically advanced than ever before, the all-new 3 Series provides drivers with assist systems and connectivity features which inspire every drive. An optional Harman Kardon surround sound system upgrades the system to 16 speakers and a digital seven-channel amplifier generating an output of 464 watts. 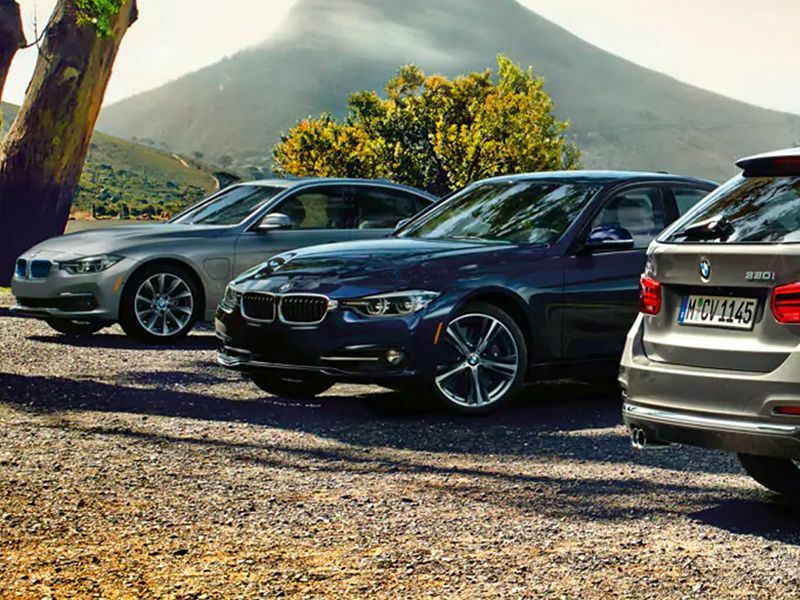 With the standard Active Guard Collision and Pedestrian Warning with City Braking function, your 3 Series is able to come to a halt in order to either avoid a collision or minimize its consequences. Choose the optional Driving Assistant Professional to receive a full complement of assistance systems for comfortable and safe motoring. Its functions include Active Cruise Control with Stop & Go, Steering and Lane Keeping Assistant, and Extended Traffic Jam Assistant.